Located at 5F of Shin Maru Building near Tokyo Station, Sasaoka is a chic restaurant which offers decent and well made food at very reasonable prices. Most of the dishes on the menu are around 1,000 - 2,000 Yen for lunch. 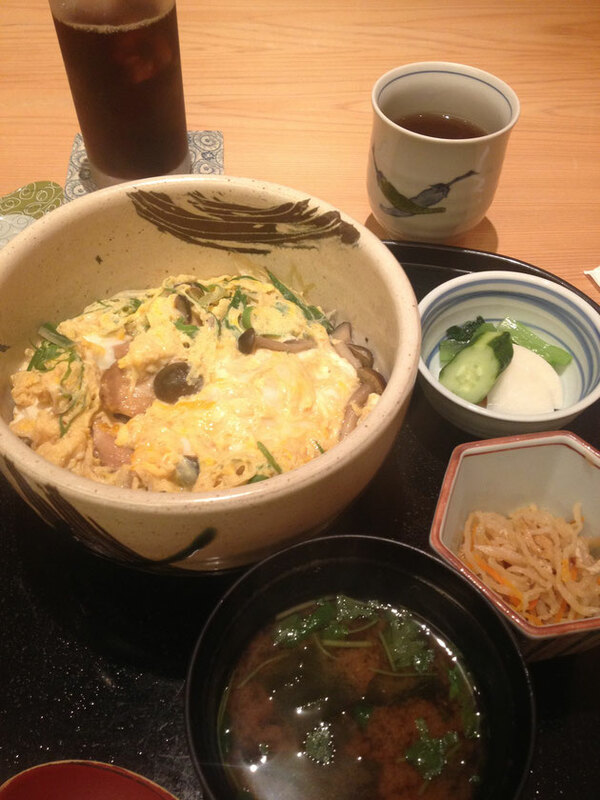 The focus here is Oyakodon (a bowl of rice topped with chicken and eggs) for 1,300 Yen. It is quite rare to see mushrooms inside oyakodon as they sometimes taste too strong and it might ruin the whole better part of the bowl, but on the contrary, it was marvellous. I would go back again just for that. The space in the room also is very well furnished and sophisticated, with so much thoughts put into every detail.